The cast has yet to be revealed. One fan favorite duo that was rumored to be involved was Nicole Nafzinger and Azan Tefou. They had to ditch their K-1 visa plans and Nicole made several trips to Morocco since they were on the air. 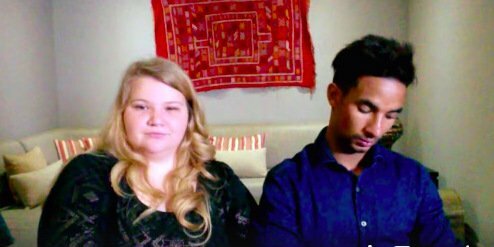 It would have fit this show perfectly, but Nicole and Azan will be featured on 90 Day Fiance: Happily Ever After? Another veteran couple that is still overseas is Paul Staehle and Karine Staehle. Previously, Paul insisted they were finished with the show and was implying that Karine would be moving to Kentucky. However, the couple is still currently in Brazil where Karine recently gave birth to son Pierre. Is there a possibility they stayed out of the country to participate in the show? Perhaps TLC will be introducing all new couples. If this show has proved anything, it’s that people are interested in seeing cultures collide. Meeting new cast members and watching that process over and over has proved enough to milk three spinoffs. Happy viewing to all! TELL US- WILL YOU BE WATCHING? DO YOU THINK ANY OLD COUPLES WILL RETURN?